Since 1981 Watts Machining Inc. has been supplying it's customers with quality parts and sub assemblies delivered on time. Current state-of-the-art equipment, 17,500 square foot facility, updated job control and cost software, and most importantly our people, who are focused on 100% customer satisfaction. 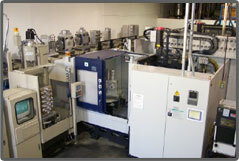 Watts Machining can make a great addition to your manufacturing team!